Catch a little sunshine and put it in your pocket with the LED Lenser F1. 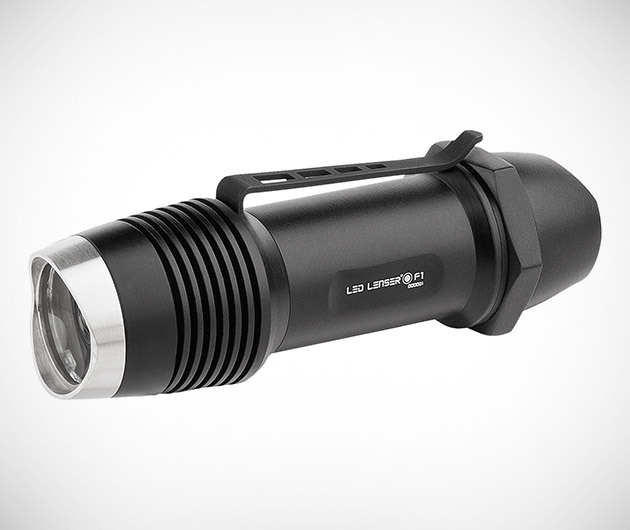 Waterproof and military standard, it's the first flashlight to reach the level of 400 lumens. As a result, it has a built-in electrical temperature sensor to keep it from overheating. You're seriously carrying around a little bit of a star here.